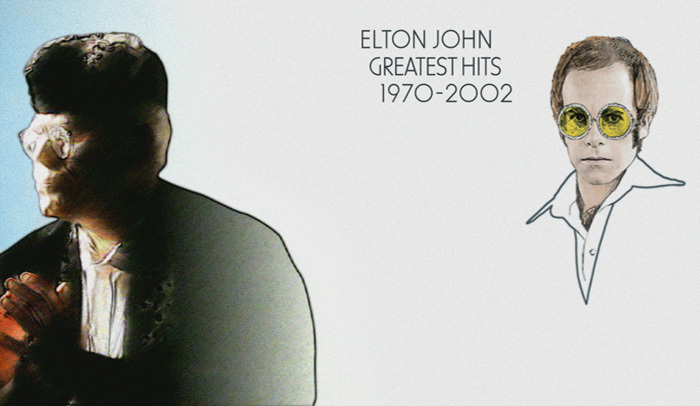 Our first project for Elton John was in 2002 when we produced the ‘Greatest Hits 1970-2002’ TV campaign, for Mercury Records. 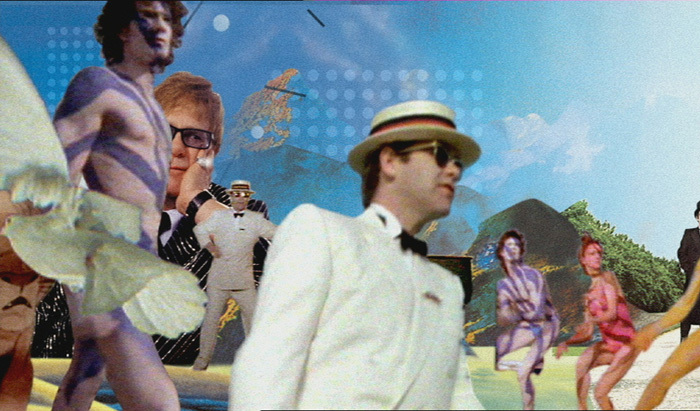 The commercial won ‘Best TV commercial’ at the Music Week Creative and Design Awards. 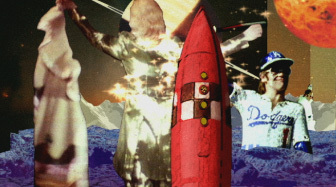 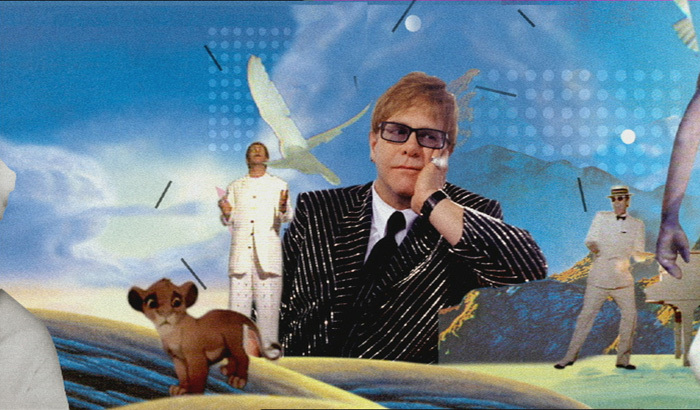 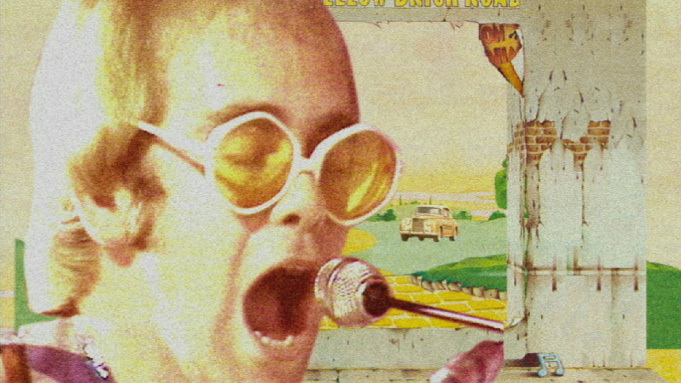 This commercial employs a single camera move, which takes the viewer through a visually packed, pop art landscape, illustrating the numerous phases of Elton’s career. 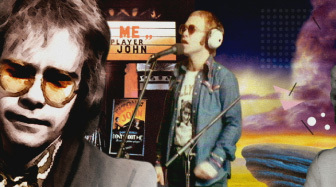 Clips from promos, album covers, animation, images of Elton’s famous accessories and classic Hollywood footage, have been cut up and re-configured to make a moving collage.